Apple today seeded build 12F30 of OS X 10.8.5 to developers, marking the seventh beta iteration of 10.8.5, dating back to the first release on June 19th. 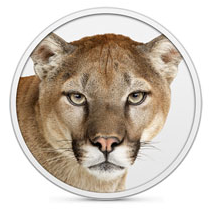 The release comes exactly one week after the previous OS X 10.8.5 beta, build 12F26. As with previous betas, the update contains no known issues and can be downloaded via Apple's Developer page or through the software update tool of the Mac App Store. Apple's OS X 10.8.5 beta is being tested along side the next version of the operating system, OS X Mavericks. Apple has thus far seeded four developer previews of Mavericks and plans to offer the new operating system to the public in the fall. How many betas of 10.8.5 are needed? Makes me wonder if this update is to help make the transition over to 10.9 easier with upgrading. Don't want to repeat the issues we had going from 10.7 to 10.8. What issues? I had none. When is 10.8.5 GM release? I would think soon. Second no know issues, and an odd Wednesday release. Perhaps this Friday. How many are needed? As many as are needed. I'd rather they had a stable update. I'm surprised that I haven't found any "I hope this update fixes the issue with..." comments.